This is what my day looked like today... hope you all enjoy your weekend. his music is at this point in time. family fun and relax this weekend. Well I don't know about him, but that certainly made my day better! countryweekly @Keithurban graces latest cover of Country Weekly. On stands now. Talks about giving back and helping out those in need. Enjoying a little studio time over the next few days... back on the road again Aug 28 at The Gorge in Washington. 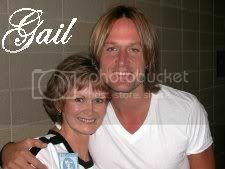 theboxershow: Keith Urban talks streakin' & his new album tomorrow am- 6:30 & 8:30(In DC) other Boxer cities-12 & 4pm.